The truth is that price is what you pay and value is what you get. Focus more on the value that you get at a reasonable price. Hence, investors should look at the valuation and fundamentals before entering any scrip, whether its price is low or high. What exactly do we understand by low-priced and high-priced stocks? Obviously, there are no hard and fast definitions, but a low-priced stock is normally a penny stock with a market price of less than Rs20. The primary reason a lot of investors and traders prefer low-priced stocks over high-priced stocks is the price attractiveness and the visual benefit of getting more number of shares for the same price. Why are traders/investors generally interested in low-priced stocks? There are some distinct reasons why a lot of investors get interested in low-priced stocks, especially if they have corrected sharply. A low-priced stock quoting at Rs10 in the market looks a lot more visually appealing compared to a stock quoting at Rs1,000. There is the quantity trap that a lot of investors fall into. With an investable surplus of Rs10,000, you get 1,000 shares if you buy a Rs10 share but just get 10 shares if you bought a Rs1,000 share. This is visual, but this is the way some investors look at it. India has a history of penny stocks giving humongous returns. Take the case of stocks like SAIL, Havells, Eicher; they were all penny stocks at some point of time. Had you purchased any of these stocks then, you would be sitting on a fortune now. Investors tend to believe that it is easier for a stock quoting at Rs10 to double to Rs20 as compared to a stock quoting at Rs1,500 doubling. There is really no logic to this theory; this is only a popular perception. A low price normally results in a low P/E Ratio, and this creates a valuation mirage in the minds of investors. Most investors treat a stock quoting at P/E of 4 as more attractive than a stock quoting at a P/E of 18, notwithstanding the fundamentals. Lastly, “I am willing to lose the money” is a common argument for buying low-priced stocks and people almost treat the loss like forgoing premiums on options. What should be your approach to low-priced stocks? The truth is that price is what you pay and value is what you get. Focus more on the value that you get at a reasonable price. 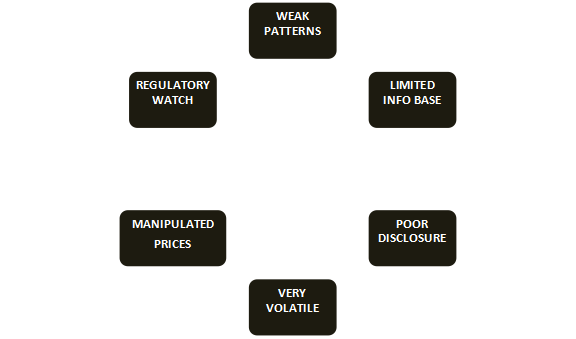 Let us look at some key risks of buying low-priced stocks in the market. This is a major problem if you are a trader. 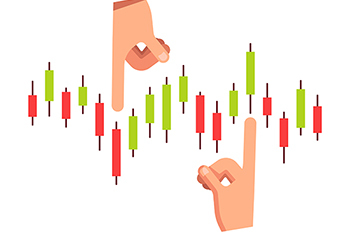 Ideally, you would prefer stocks wherein you can easily plot the support and resistance so that you can take a smart call on stock-price turnarounds and break outs. Most low-priced stocks show extremely patchy price movements, and hence, are not amenable to any serious technical charting. You could actually be going on a blind date when you are trading in low-priced stocks. The advantage with stocks such as Infosys, Tata Motors, and Reliance is that there are dozens of analysts across brokerages tracking these stocks. However, this is not the case with most low-priced stocks. Most of the reputed brokerages will not have coverage of the stock and in the absence of that, your only source of information is the company’s management, which will likely play down negatives and risks. This is a major fundamental risk that you run. Not much is known about these stocks and that is because these companies normally follow very poor disclosure standards. Since corporate governance standards are normally lower on their priority list, you can never be sure if the company is acting in the interests of the shareholder. Low-priced stocks or penny stocks tend to move wildly in a range. Quite often, these stocks hit the upper circuit and lower circuit on the same day. Once the stock is trapped in upper or lower circuit, you can only execute transactions in one direction. It is this effect that makes these stocks very volatile and also vulnerable to news flows. It is very hard to manipulate prices of stocks that have large capital bases and substantial public float. In case of low-priced stocks, the holdings are normally with the promoter group or with a handful of traders and brokers. This makes it very easy to move the price of these stocks as per their bidding. You are very likely to get caught on the wrong side. The bottom-line is that while low-priced stocks may look alluring on the price front, the value trap is what you need to beware of. Focus on value and growth. Price appreciation will automatically follow!